It is a gothic masterpiece. And it’s got a menacing face. 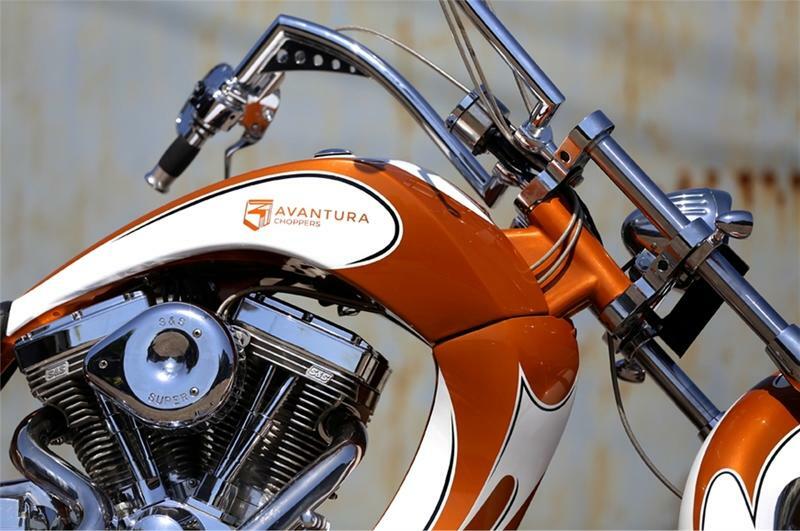 Offering the folks of the sub-continent a taste of America’s dreamy history, Avanturaa Choppers has set up the stage to bring in the country’s first production chopper company that will cater to the premium segment of motorcycles. 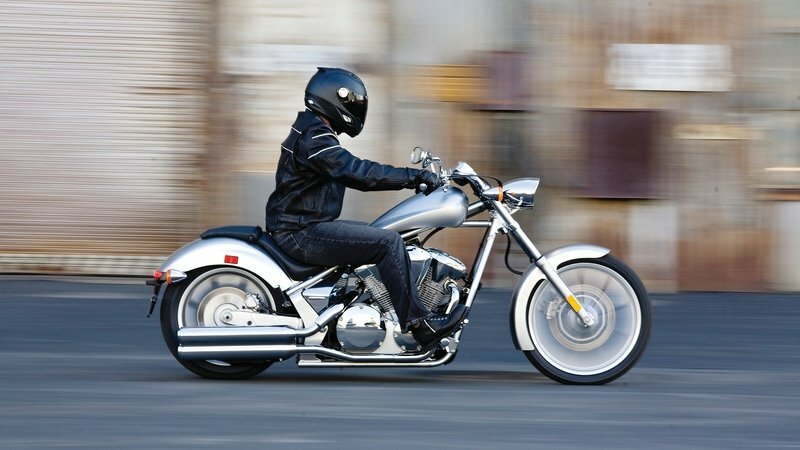 Becoming the first Street-Legal choppers to be made and sold in India, the 25 employees strong company has opened its first showroom in Bangalore and plans to open more shops, including in Hyderabad and in Delhi. 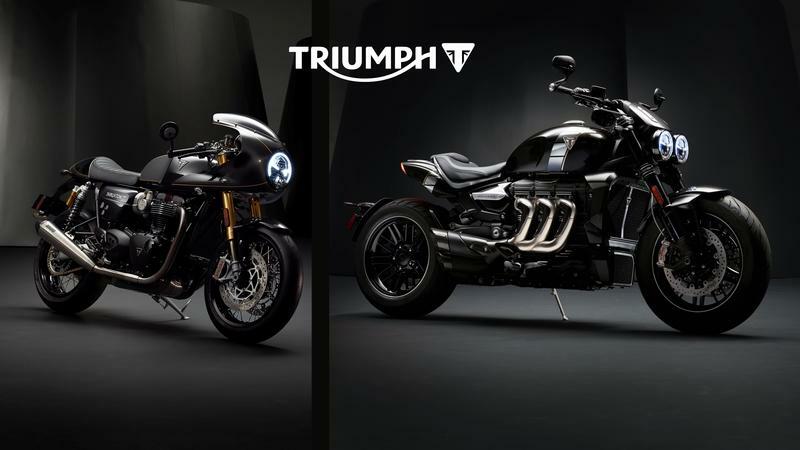 Their first models are the Rudra and the Pavega and are based on the same powertrain. The Honda designers targeted the outlaw chopper culture of the ’60s and ’70s, and managed to turn out a fairly faithful interpretation in the Fury, which is carried into 2019 though we lost its stablemate, the Stateline, from the lineup in 2017. The deep saddle and cut-down rear fender combined with the sweep of the fuel tank give it that stretched, custom look. For the American market, the 52-degree V-twin fits right in with a 1,312 cc engine that isn’t so big as to be intimidating. Join me as I critique Honda’s attempt to recapture our glory days. Continue reading for my review of the Honda Stateline and Fury. Adding itself to this latest trend of the factory customization war, Indian Motorcycles called for non-pro builders to customize the Scout Bobber. Indian teamed up with Hot Bike magazine for “The Wrench: Scout Bobber Build Off” contest that began on March 15th, 2018. 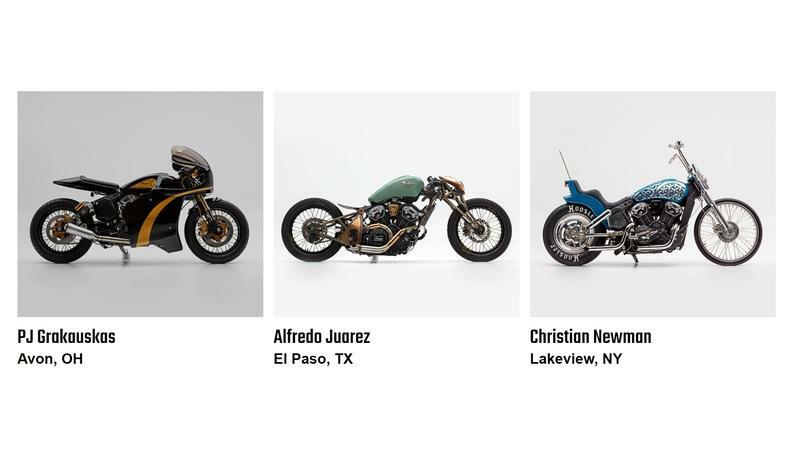 The top three designs were then awarded a new 2018 Scout Bobber to customize along with $10,000 for the build. The Springfield company has finally unveiled the builds at the Sturgis Motorcycle Rally 2018 after three months and they include builds from a NASA engineer from Las Cruces, NM, an OSHA safety inspector from Avon, OH, and a mechanical engineer from Buffalo, NY. Let’s find out how they stack up against each other. Based out of Southend-on-Sea near London, the Auto Fabrica workshop is set up to design, prototype, manufacture a build from concept to final product. 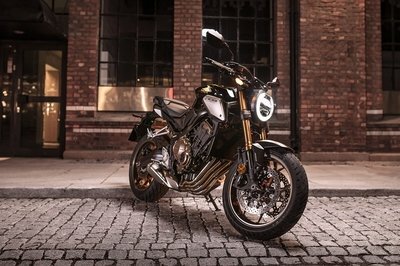 Their latest project is the “TYPE 11” breed of machines that has built two bespoke models for two different riding preferences, underpinned by Yamaha’s XSR 900. This scent was picked up by the folks at Yamaha Yard Build, guys who ask "talented customizers to provide inspirational ideas on how to transform modern Yamaha models into ’Yard Build’ specials." The TYPE 11 gets the “Prototype One” track only machine and a “Prototype Two” road going version. 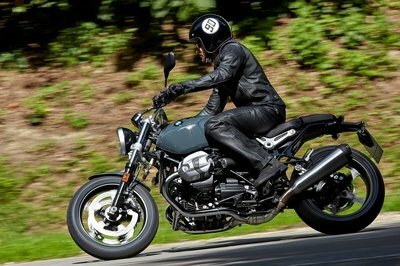 For the folks who custom build for a living, BMW’s boxer layout is their holy grail. Nothing else looks as retro and authentic as the two pods pouting out of the frame. 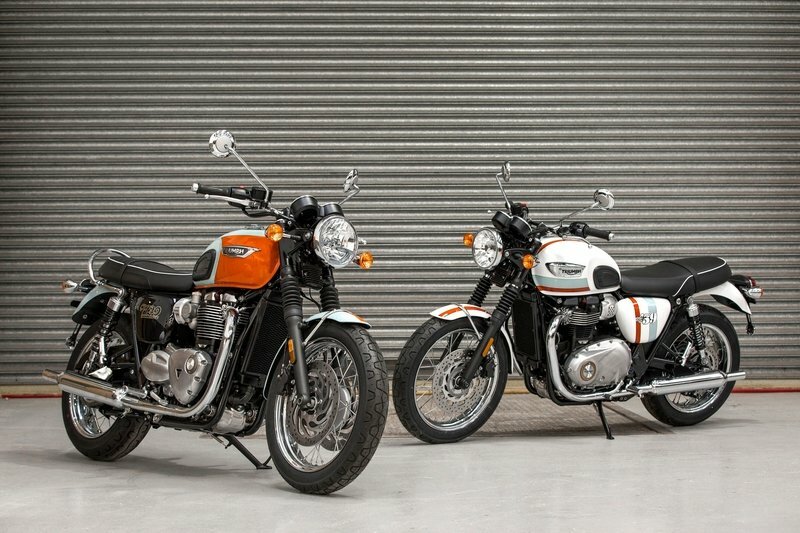 Builders turned these spirited machines into a beacon of beauty, simplicity, class, and definition. A French design house called Dab Designs have had their go on the BMW R NineT, but it isn’t a built like the one you think. There is no cutting, no welding, none of that dirty, oily stuff, but just a bolt-on pre-fabricated kit that can do the customized work for you in just under a couple of hours. It’s called the ER kit. For someone like me living in an apartment and have no garage of sorts, the itch to customize my ride to my taste always takes the back seat. 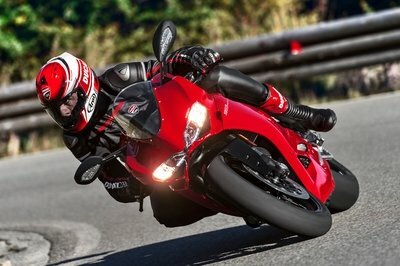 Calling a stock motorcycle my own is only by force and not with contention. But then again, shelling heaps of cash and the downtime of not having the motorcycle with me while it’s in a garage somewhere on the outskirts of the town is usually why I don’t bother much with it. Coming to the rescue of such folks are these chaps from Istanbul’s Bunker Custom Cycles that have come up with a bespoke bolt-on custom kit for $1000 that will take up just a few hours on a Sunday afternoon to make your ride look like how you’d imagined it to be. 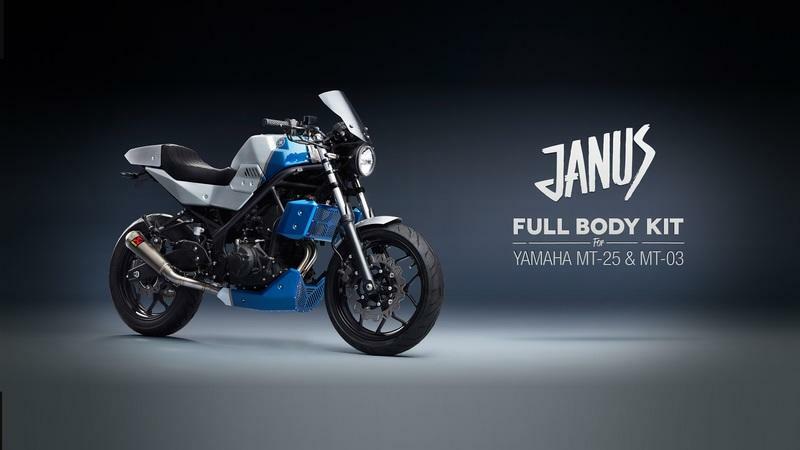 Their first such kit is called the “Janus” that bolts on to the Yamaha MT-03 and MT-25 naked streets. "Ducati Scrambler Custom Rumble" is an art competition organized by Ducati to find the most eye-catching customized Ducati Scrambler out there. In its 2nd edition, Ducati has anointed four finalists from four different categories to go head to head for ultimate victory. 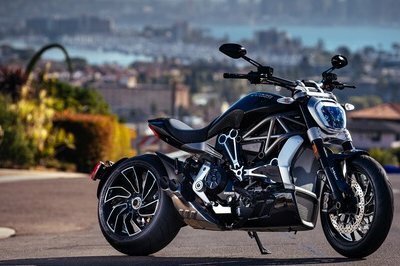 All 132 entries got voted on scramblerducati.com with no less than 200,000 votes were cast. These finalists will get an opportunity to display their meticulous, passion-driven craftsmanship during World Ducati Week (WDW) - the world’s biggest gathering organized by Ducati from 20 to 22 July 2018 at Misano Adriatico for all motorcycle enthusiasts. And one winner will travel to California, the Scrambler’s backyard. After serving 8 years in the Navy, Derek Kimes was scouting for new challenges. 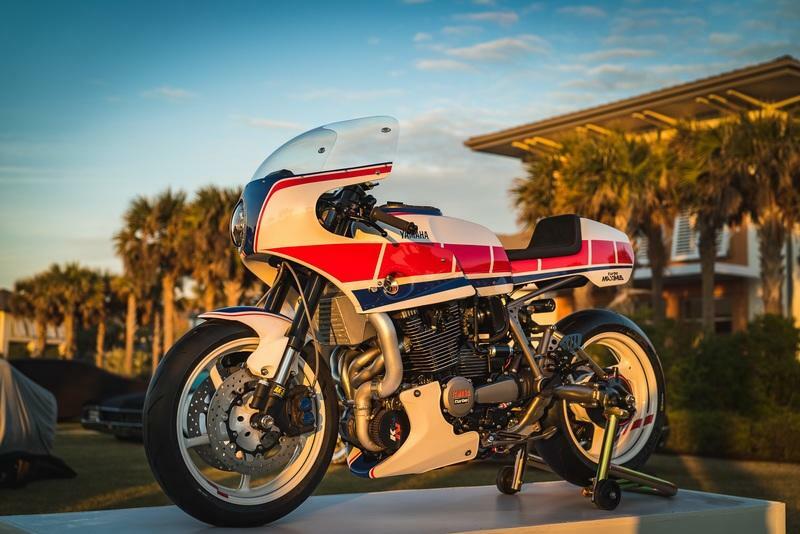 But little did he know that a day would come where he would custom build and custom engineer a motorcycle that would go on to win top honors at the Forged Invitational show at the Jekyll Island. It wasn’t any other motorcycle, but his own 1982 black Yamaha XJ750 Maxim re-engineered to replicate the 1984 XJ750R (0U28) race bike that participated over in Japan in the 1984 Suzuka 8 Hours, both in terms of design and performance. This modern machine gets retrofitted with fuel injection and ...wait for it… a freakin turbo kit. It’s aptly called the Yamaha “Turbo Maximus” spooling 200 hp. It’s a bird…it’s a plane…it’s the Watkins M001. A unique concoction by a Polish engineer, Jack Watkins, this machine on two wheels is the result of nine long years of sweat and blood. 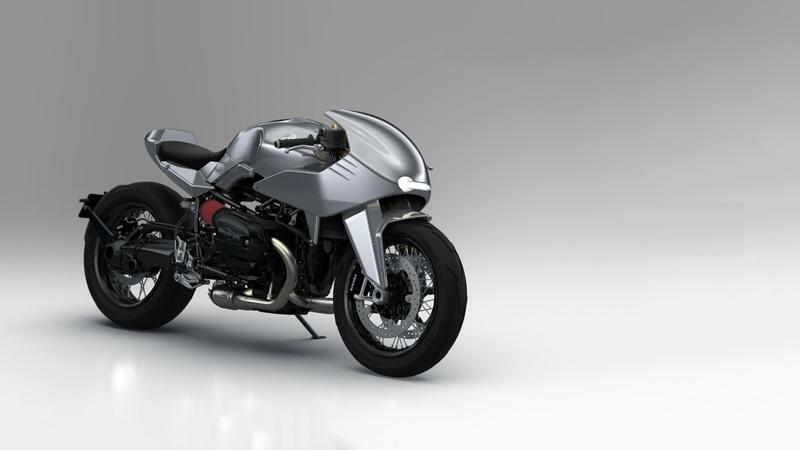 Jack’s brains were wound up by the extreme engineering he saw on another custom motorcycle built by Stellan Egeland back in 2009 - a BMW Harrier that had the hub-center steering design. Fast forward to 2018, Jack managed to complete his vision of the funky front-end onto a bespoke metal plate chassis and bodywork built around a 2002 air-cooled BMW R1150RT engine. Luckily, he had the folks of Moto Spec in Gdańsk to help him set up his first ever build in their workshop. It is nothing short of an inter-galactic spaceship ready to take on the planet. Carbon fiber has been considered the most exotic material ever since McLaren first made use of it to build a monocoque chassis for its Formula One car, 35 years ago. And so has Rolf van der Heide, a Dutch engineer who had worked for Spyker and Carver (makers of three-wheeled road machines) in the past. 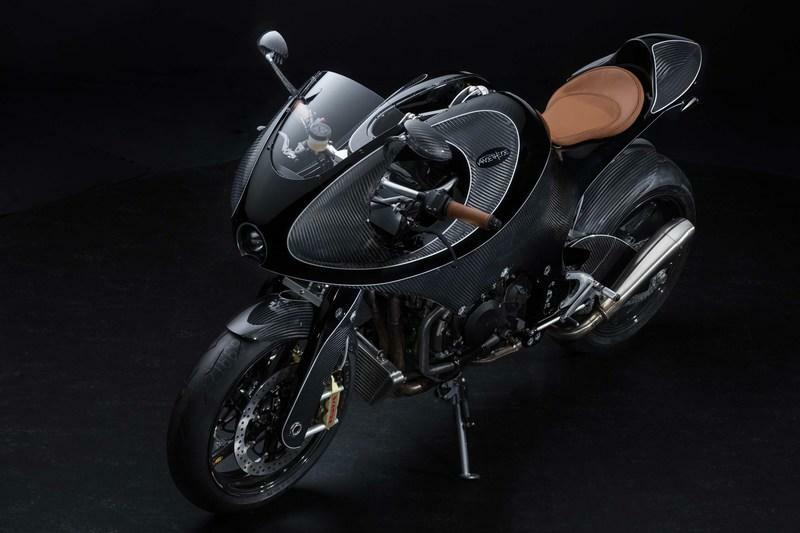 He saw endless possibilities of carbon fiber composites and went on to create the motorcycle of his dreams with it. With his brother Sjors handling the business end and industrial designer Michiel, the ‘Gentleman’s Racer’ was born. 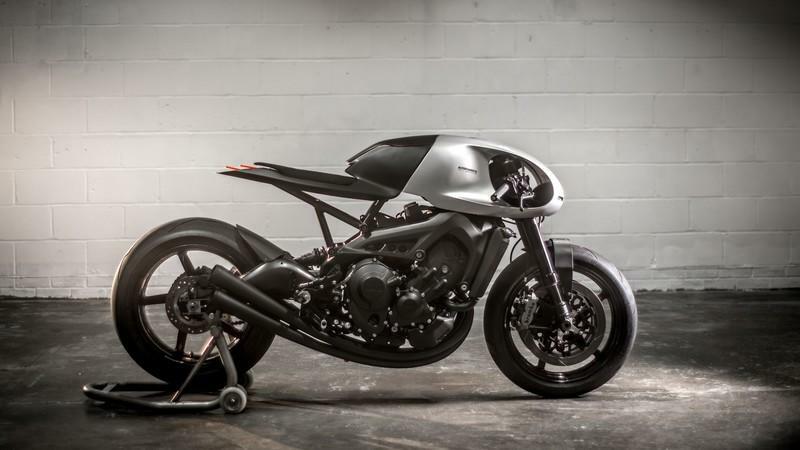 With a 100% carbon fiber monocoque chassis, a 100% carbon fiber swingarm, a 100% carbon fiber front end and a patent-pending revolutionary designed suspension system, we see this creation as a genesis of a new breed of humankind. One who is not scared witless to venture into the realm reserved only for the upper-crust. BMW is not some run of the mill company. It has one of the most prestigious history books, and for nearly a century, they have been making impeccable products that beam innovation and technological acumen. Started as an aircraft engine manufacturer, BMW started manufacturing two-wheelers in 1923 with the R32 that made use of the iconic flat-twin boxer configuration engine. 100 years down the line, BMW Motorrad still uses this boxer engine to power the finest of the finest motorcycles. 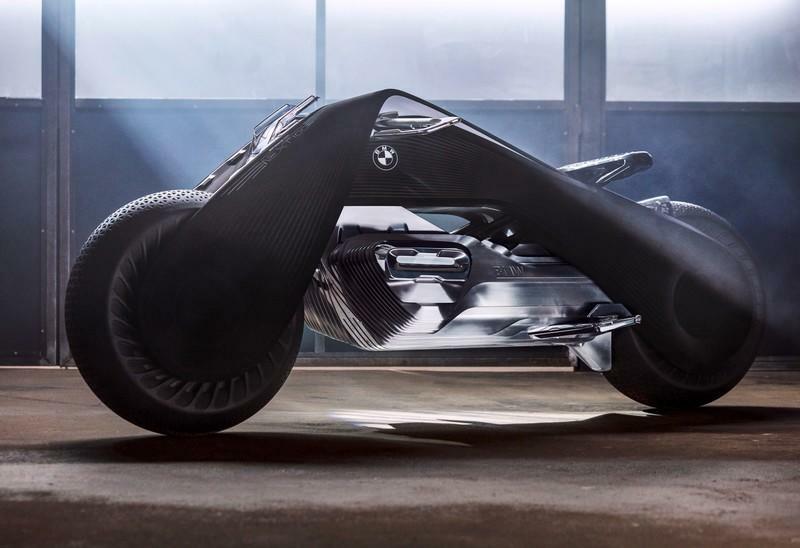 To commemorate this heritage, BMW has offered us a sneak at how its next 100 years is going to be by showcasing the BMW Motorrad Vision Next 100 at the “Iconic Impulses. The BMW Group Future Experience” exhibition in Los Angeles. After giving us saliva bubbles with its vision of the future through the MINI, Rolls-Royce and the BMW concepts, BMW now gives us the BMW Motorrad Vision Next 100, a motorcycle that is an entirely radical concept of the traditional machine on two wheels today. 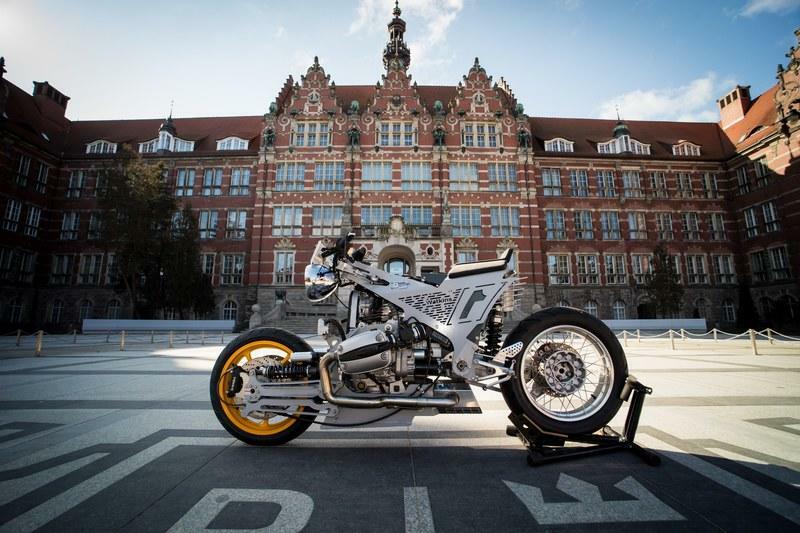 Almost like being officiated at the altar of Utopia, this is “the essence of motorcycling and a symbol of the ultimate riding experience of the future” according to Adrian van Hooydonk, Senior Vice President BMW Group Design.